Michelle Ann Hawes is a mother, writer, and an advocate for clean water solutions and sound nutrition. She has worked to support missions and spent over twenty-five years in the corporate world. Aside from her business endeavors, Michelle is a lifelong learner, enjoys "rehabbing" recipes with family and friends, and loves to sing. She also brings laughter to others as an amateur puppeteer. Writing stories to build up and encourage others to stretch themselves motivates her creativity. 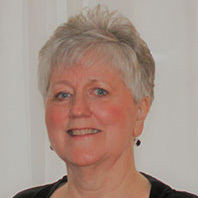 Michelle has a son and daughter-in-law and resides in the beautiful "Haven" community of Attleboro, Massachusetts.